The glimmers of a new economic story are emerging. These are concepts and intuitions that can help to free our imaginations from the grip of the old "economy" and to embark on new collective explorations of how we might live together in this coming age of uncertainty and change. Let's start with five principles for re-orienting our economic thinking that can help us to move: (1) from a singular notion of "the economy" to a notion of diverse forms of livelihood; (2) from an economy/nature divide to a restorative concept of ecological community; (3) from a stale choice between "the market" and "the state" to a creative political space within and beyond these institutions; (4) from the limiting logics of "economic laws" to the work of creating new possibilities through collective imagination and action; and, finally, (5) from the economics of the "experts" to economics as a practice of democratic organizing in which "we the people" make our own economies. There is no single "economy," except as a story that is enforced by institutions to maintain the status quo. There are, instead, diverse forms of livelihood, multiple ways that we make our livings in relation to each other and to the living world of which we are a part. We are not just rational self-interest maximizers. We cooperate, we share, we identify with each other and create communities of care and support. Far from living in a world of cold business transactions, most of us live in worlds that are full of complex relationships, obligations, commitments, and forms of love. We fight tooth and nail to hold onto these spaces-the roots of our dignity-in the face of an economy that tries to rob them from us. We do not just depend on jobs and money for our livelihoods. Our lives are more than our work, and our work is more than our jobs. We depend on each other, on our families and friends, on our neighbors and on the many communities of which we are a part. We depend on gift-giving and bartering, generosity and solidarity, lending and borrowing, sharing and holding resources in common. We depend on our own skills and the skills of others, on shared wisdom, and on shared forms of work within and beyond the workplace. These are the forms of livelihood, in fact, that keep us alive in the most difficult times. We don't rely on "the market" to provide us with our needs when the floodwaters rise, when the mill closes down, when the company downsizes, or when the hurricane strikes. We rely on each other, because we are the economy of life and community. In a larger sense, we also rely on the ongoing labor of other living beings and the world itself, processes of livelihood which "the economy" cannot provide (and most often works to exploit or destroy): the plants that make our oxygen, the soils that grow our food, the insects that pollinate our fruit, the climate that turns our seasons, the clouds that bring the rain, and the wind that sweeps them away to reveal the sun. This is not "natural capital": this is our shared world. It cannot be turned into money. These are not utopian projects. They are the imperfect shapes of our creative struggles to build different forms of livelihood in this actual world. They call us toward possibilities that we have only begun to explore and to fight for. i For more on this shift in perspective from a monolithic "economy" to a diverse landscape of practices, see J.K. Gibson-Graham, A Postcapitalist Politics. University of Minnesota Press, 2006; and Jenny Cameron and J.K. Gibson-Graham, "Feminising the Economy: Metaphors, Strategies, Politics." Gender, Place and Culture, Vol. 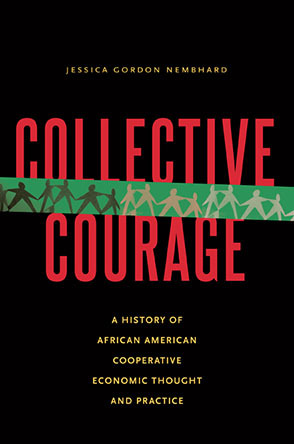 10, No.2, p.145-157; also other work of the Community Economies Collective. ii Massimo De Angelis offers a powerful framework for thinking about values and "value struggles" in his book The Beginning of History: Value Struggles and Global Capital (London: Pluto Press, 2007). He draws on David Graeber's concept of "value as the importance of action" in David Graeber, Toward an Anthropological Theory of Value: The False Coin of Our Own Dreams. New York: Palgrave, 2001.
iv The"iceberg" image is derived from an original by Ken Byrne, published in J.K. Gibson-Graham, A Postcapitalist Politics. Minneapolis: University of Minnesota Press, 2006.